Smart Smoke N Weed, Black Gelding. Weed is a super nice colt, real quiet, easy to handle. Ties and trims. Dam is a NRCHA Money earner. 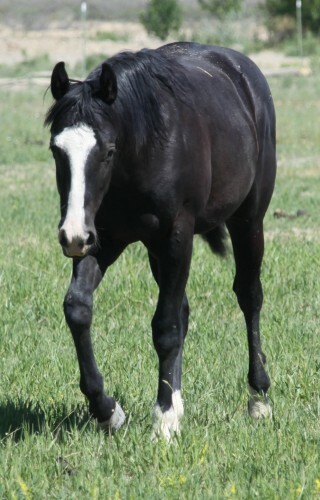 Sired Smoke N Black Hawk, Black Overo (double blk gened), he is a 6 X World/Resv. World Champion. Reining, Working Cow Horse, Calf Roping and heeling. He is just as nice in the Heading and Steer Stopping, winning prelims at the world show under all 10 Judges in both, to bad his rider figure eighted the finals in both. He was also World Show top cattle horse and Resv all around world show. He was a bad cat in his day.